It can be hard to know what to think about cryptocurrencies. It’s new technology, it’s mostly unregulated, and it impacts upon finance. Will it affect the stock markets, fiat currency, gold bullion? Change can be scary, so at BullionByPost we decided to pit gold against bitcoin and weigh up the pros and cons of both as we move into an ever more digital future. It was inevitable that digital currency would grow in step with technological advances. The ease of payment via Near Field Technology (NFC) and improvements to online security mean that a lack of the physical presence of currency is more beneficial to people and with minimal risk. Contactless payments by card and smartphone are now commonplace, whereas 10 years ago they were just an idea. With changes to tech come opportunities for change, and banking and finance are one area of opportunity. Bitcoin’s big sell is the blockchain technology involved. Blockchain is an anonymous public ledger – an ever-growing line of transaction data and history. A bank verifies your funds, holds your funds, and subtracts funds from your balance to credit others, but all of this relies on trusting your bank. The blockchain replaces their role as a database in this process and operates without interference. Data is encrypted, and Bitcoin ‘miners’ try and figure the code to authorise the transaction. The winner gets to approve the payment and then bundle up the transaction with other payments (effectively hiding them in a crowd of data) and they will receive Bitcoin payment for their bundle being added to the blockchain. 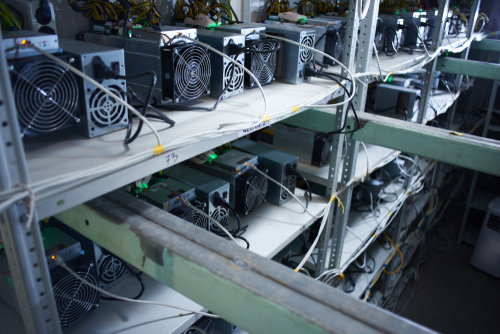 Other miners use their own computers to verify against duplicate uses of funds within the bundled payment data. If you try and spend the same Bitcoin twice you have to revisit all the links down the chain which is so much effort as to render it pointless. The entire process takes a high calibre graphics card, a lot of electricity, and a lot of commitment, because the chain links previously authorised transactions to the new attempted payments. Given the power required to achieve such a feat, the cheat would probably cost more in electricity than the fraudulent gain. An example of how Bitcoin mining operates. Small boxes replace standard PCs to be cost and space efficient. You might wonder why is banking a problem, especially given how much work is involved in maintaining anonymity, but the simple fact is data protection is a big issue and one that has been suspected of breaches for quite some time. The recent news about Facebook’s information being used by Cambridge Analytica is a major incident, but it’s highly unlikely to be the only such data breach. People want to know that their personal information is safe and not being used for nefarious reasons, e.g. being sold on to companies to try and influence your voting in an election. Some have argued that this is a nice idea but ultimately bad for trade, but there are ways and means to track a user’s activity, which is designed to factor in businesses and their need for proof of funds. Bitcoin has some scope to identify a source of funds, while currencies like Monero are wholly anonymous, but you choose your currency depending on your needs. Already we see big businesses such as IBM and Maersk forming partnerships – in this case for shipping – as commerce seeks to keep pace with the times and make sure it’s operating in the most efficient and secure way possible. The same data relationship could allow for greater sharing of information within healthcare and other industries like cloud storage, where security is paramount. Cryptocurrencies have a big issue of price instability however, caused by a lack of regulation and the classic instance of panic responses in the face of large scale thefts, large scale sales, or a national government crackdown. Bitcoin and others are vaguely backed by other currencies. Governments don’t like this uncertainty, so they have been banning Initial Coin Offerings to start up currencies, and they have been banning the trading of cryptocurrencies. Another problem is cyber-crime. Hackers have and always will be around. Millions of dollars in cryptocurrencies have been lost since 2010, with the case of BlackWallet’s theft being a good example. The Express reported the theft of $400,000 worth of Stellar Lumen currency, and the fear is that while some currency holding companies will repay, others might simply not have the funds to do so. The final risk – which is more so for governments – is the involvement of cryptos on the dark web aka the black market of the internet. 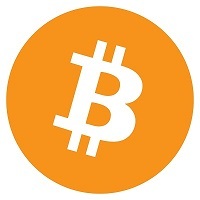 Illegal materials, drugs, weapons, and personal information are traded for payment, usually in anonymous cryptocurrency format to avoid detection. It was inevitable that criminals would find a use for it, but it’s an area that worries authorities and is why they are acting heavy handed to begin with. 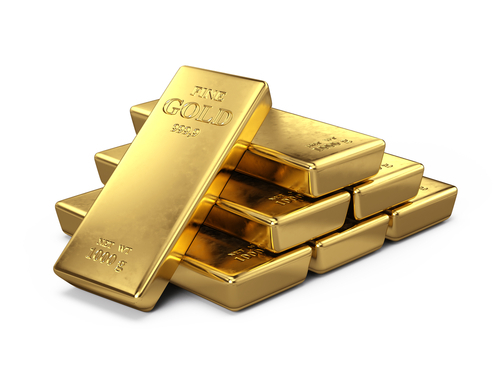 Gold bullion is popular for investors to store and protect their wealth. In comparison to Bitcoin, gold is old fashioned. Bullion coins and bars aren’t easy to carry around on you, and you can’t use them to pay for your shopping or to go to the cinema. It’s an investment resource (or a collectible), but old fashioned isn’t always a bad thing. Whether you have it in person or stored securely, you physically have access to a source of true value. For this reason it’s seen as a safe-haven. At present the rate of inflation is between 2.5 and 3%. Gold’s value increases in line with this, and with interest rates from the Bank of England and the US Federal Reserve both quite limited, we’re in a position of negative real interest rates – in other words, inflation is growing faster than interest rates. This means that fiat currency (GBP, USD, Euro etc) devalues and living costs increase. If your money in the bank is devaluing then you have to question why it’s worth keeping there. The simple answer is it’s not, and gold bullion is the ideal escape route. Gold matches inflation, retains value, and it’s trusted, so there will always be buyers (like ourselves) when you come to sell. Gold is less exciting than stocks or cryptocurrencies, nobody’s arguing that. When these markets hit their peaks, they were generating small fortunes for investors, and everyone loves a bit of hype and jumping on a bandwagon to enjoy the ride. With great gains come great falls though. These markets can’t sustain extremely high value for a long period of time and when they come down it’s gold and silver investors fall back on.